CLAYTON, NC – The Clayton Rugby Football Club closed out their 2016/2017 XVs season with a loss to Camp Lejeune at home. 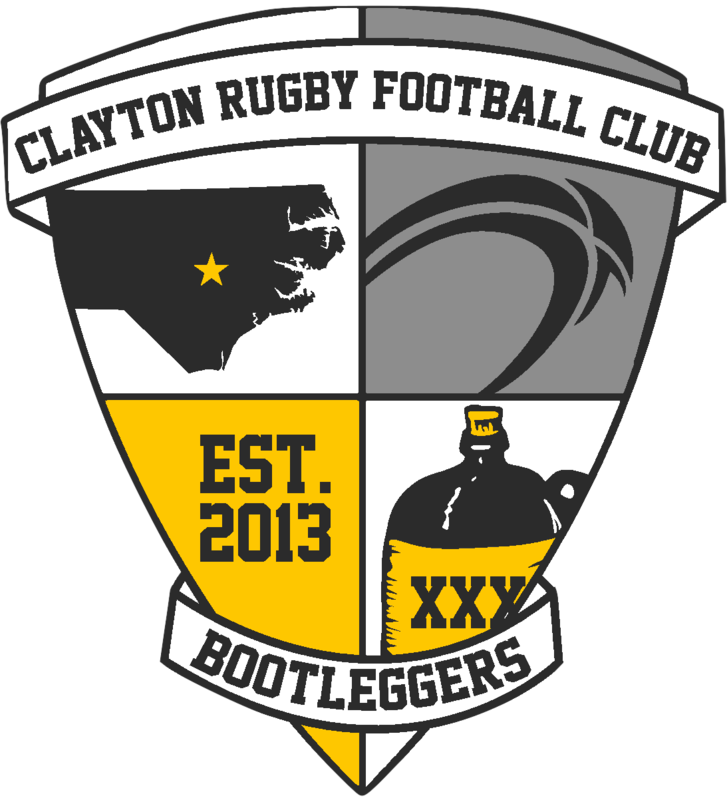 The loss was the third in a row as the Bootleggers closed out their first season in Division 3 of the Carolinas Geographic Rugby Union. After consecutive lopsided losses from Cape Fear and Chapel Hill, the Bootleggers aimed to finish their season on a high note as they played host to Camp Lejeune at East Clayton Community Park. It wasn’t to be as Camp Lejeune took control of the match in the second half and never let up. The Bootleggers dictated the early pace of the match against Lejeune and controlled much of the possession for the opening ten minutes of the match. They were rewarded with a long try from Matt Aronowitz to give them an early 5-0 lead in the 10th minute. Clayton continued to mount pressure on Lejeune, but missed out on a few golden scoring opportunities. They crossed again in the 20th minute when Eric Hile scored to extend the Bootlegger’s lead to 10-0. Camp Lejeune came back strong and got on the scoreboard in the 30th minute. They followed that with three more rapid fire scores to take the lead. After controlling possession and play for most of the 1st half, the home side found themselves down 26-10 at the break. Looking for a comeback of their own, Clayton came out and took the restart to the 2nd half. They worked the ball deep into Lejeune’s half and scored off of a quick tap on a penalty by Ted Hardy. The try cut Lejeune’s lead to 26-15 just minutes into the second half. The Bootleggers added another score when Nick Russell broke through the Lejeune line for a nice score, but the second half belonged to Lejeune. The visitor’s used their fitness to push the tempo of the match and found plenty of running room on their way to a 68-20 victory. The loss closed out the Clayton 1st XVs first season in D3 and left them with a 5-8 overall record for the 2016/2017 season. With the season over, the Bootleggers now look at the upcoming 7s season where they expect to field teams at 4-5 tournaments this coming Summer. The club is also hosting the 2nd Annual CottonTown 7s tournament on July 15th. The club is expanding the tournament this year and expects 25-30 teams to come to town to participate this season. The Clayton Rugby Football Club would like to thank all of their members, fans, supporters, players, and volunteers for a great season. Most of all the club is thankful for the support of their many sponsors in Deep River Brewing Company, Clayton Chiropractic, Orthopaedic Specialist of North Carolina, Crossfit Clayton, World Rugby Shop, TanseyReviews.com, and Ruck Science.